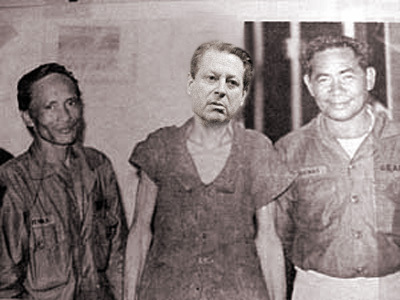 Missing global warming alarmist Al Gore was captured today in a pre-dawn raid on his remote tropical island hideout. The former vice president had been missing since the Copenhagen global warming conference last December, when he erroneously dismissed the Climategate scandal as having to do with e-mails that were 10 years old. 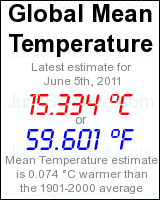 Since Gore was last seen in public, Climategate has been followed by glacier-gate, rainforest-gate, sea-level gate, the resignation of UN climate chief Yvo de Boer, revelations of IPCC chief Rajendra Pachauri’s financial conflicts-of-interest and admissions by Climategate’s Phil Jones of no global warming since 1995 and the existence of a possibly warmer-than-now Medieval Warm Period. The exclusive images below show an emaciated Al Gore, badly in need of a haircut. Ozone Al gets a cut courtesy of JunkScience.com. Gore’s capture was eerily reminiscent of the capture of Imperial Japanese Army Sgt. 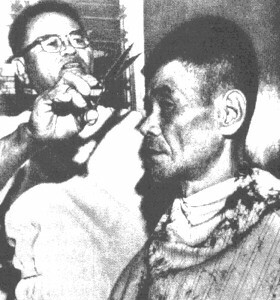 Shoichi Yokoi, who hid in the jungle for 28 years after the 1944 Battle of Guam. Sgt. 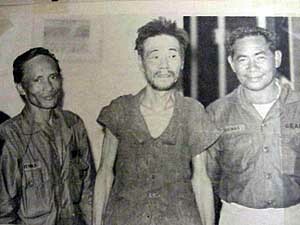 Yokoi with escorts after capture. Sgt. Yokoi gets a haircut after his capture. Like Sgt. 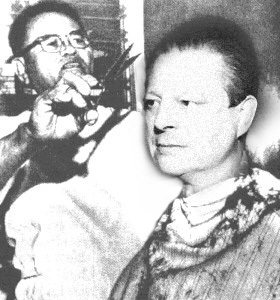 Yokoi, Gore apparently knew that the war was over, but he was too humiliated by defeat to be seen in public. Sgt. Yokoi became a popular television personality upon his return to Japan and an advocate of austere living. There was no immediate word from Al Gore on whether he planned to follow Sgt. Yokoi’s footsteps in austerity, say, by giving up his Nashville estate (with an indoor swimming pool that costs $600 per month to heat), houseboat, frequent private jet and limousine travel, and lucrative business dealings with the Kleiner Perkins venture capital firm, Generation Investment Management, Google, Apple and Current TV. But since Gore didn’t much care about his own carbon footprint during those pre-Climategate fanatasy days when “the science was settled and the debate was over,” there’s even less point now in sweating his green hypocrisy. This entry was posted on	February 24, 2010 at 2:59 pm	and is filed under Announcements and News. Rather than being successful or amusing satire that illuminates a larger truth, the cut and paste photos here serve more as a parallel to the type of “reality” production you guys are constantly engaged in. “God is not the author of confusion.” That role was seized by Nobel laureates Al Gore (a divinity school drop-out] and the IPCC. Sigh. Where is global warming when you want it? The second key point is summed up by Dr. John Christy, who served as a lead author on the IPCC. The Professor of Atmospheric Science and Director of the Earth System Science Center at the University of Alabama—Huntsville, stated, “Our ignorance about the climate system is enormous, and policy makers need to know that. This is an extremely complex system, and thinking we can control it is hubris.” [THIS is the most important fact of the whole issue.] Ah, man’s ignorance and hubris–who would have guessed?